When two people pledge their love and agree to spend a life together, they never quite know what the road ahead holds, especially for couples in which drag racing is involved. The journey for Ricky and Michelle Furr has been full of life’s typical - and not so typical - ups and downs. 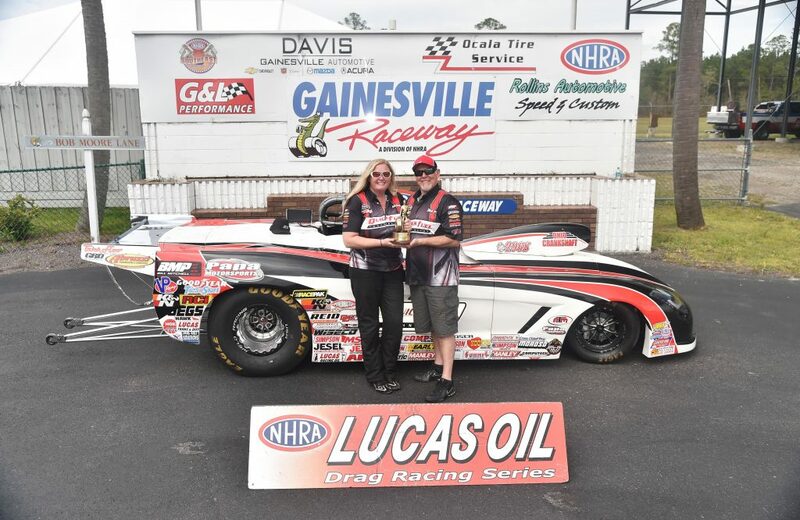 With Michelle in the driver’s seat of various hot rods and Ricky crewing her to a respectable amount of NHRA, IHRA and other event wins, they’ve seen a fair amount of “for better” in their marriage. Last year, however, there was quite a bit of “for worse”. After partnering with Marvin Benoit and Papa Motorsports and debuting the first C7 Corvette Roadster at the tail end of the 2016 season, 2017 followed with one bad break after another. New car blues hit, and, even when those weren’t plaguing the Furrs, they were often headed home early. 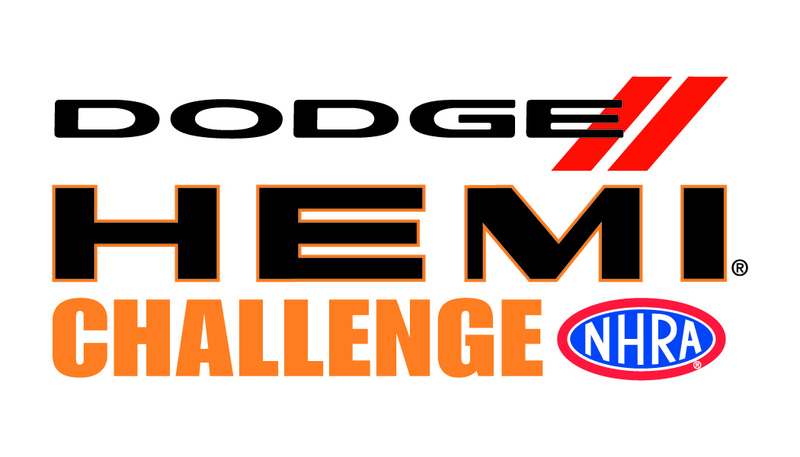 One of the biggest stops of Chevrolet Performance Challenge Series in 2018 will be the 12th annual LSX Shootout, held May 17-20, 2018 at Beech Bend Raceway. And a major highlight of this year’s LSX Shootout is the heads-up Brian Tooley Racing Real Street Shootout, which is a 275 Radial eliminator. 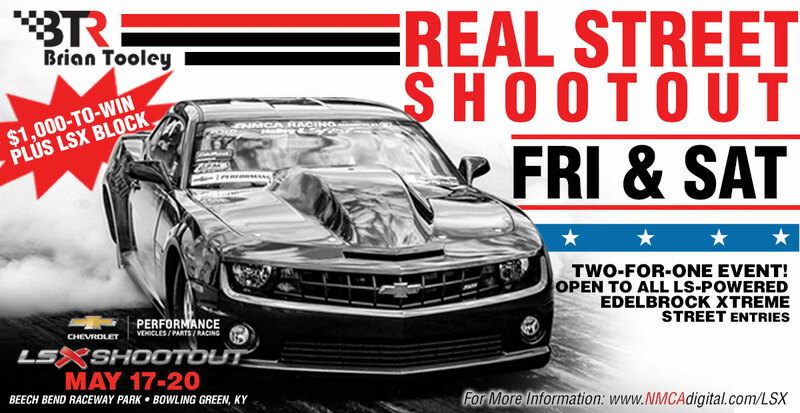 Open to all LS-powered Edelbrock Xtreme Street vehicles, the shootout takes place Friday and Saturday and the winner walks away with $1,000 plus a Chevrolet Performance LSX Bowtie engine block. And if that isn’t enough, the Real Street Shootout racers remain eligible to compete in Edelbrock Xtreme Street eliminations on Sunday! As if that isn’t enough, the Real Street Shootout winner is invited the Chevrolet Performance Challenge Series Champions Dinner, held during the Performance Racing Industry (PRI) Show in December. The winner will also receive a Chevrolet Performance champion ring and jacket. 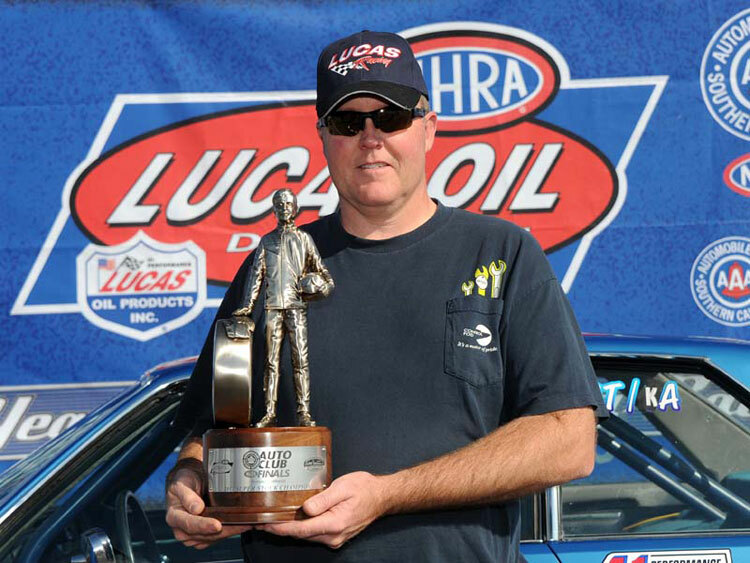 To many NHRA Sportsman drag racing fans, the name Jody Lang is one they've heard often before. And for the few who do not know the name, they have surely seen his trusty '81 Chevy Malibu station wagon turn on win lights on the track. During a racing career that has spanned more than 30 years, Lang has been able to establish himself as one of the most successful Stock and Super Stock racers in the world. His resume includes 29 NHRA national event victories in 45 final-round appearances, a national event double (winning two different classes at the same national event), and multiple NHRA Pacific Northwest Division championships and Top 10 finishes in the national standings. The Lucas Oil Drag Racing Series was in town this past weekend for the NHRA Southern Nationals at Atlanta Dragway in Commerce, Ga. Champions celebrated in winner’s circle with their teams. In the Top Alcohol Dragster final round, Josh Hart, Ocala, Fla., took a large starting line advantage. Megan Meyer, Spring Hill, Kan., was able to close some of the distance but she was unable to catch Hart, as he secured the national event Wally trophy. Hart ran, 5.313 seconds, 269.40 mph; Meyer came in second at 5.318 seconds, 269.94 mph. On the same weekend that the largest horse race was going down in Kentucky, it was the mechanical horses of the NMRA that rocked the rolling hills around Maple Grove Raceway (Reading, PA). 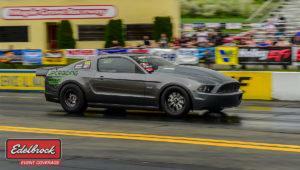 Despite the threat of rain for the third straight year, NMRA officials accelerated the racing program and completed the 18th running of the CJ Pony Parts NMRA Ford Motorsport Nationals, presented by Vortech Superchargers, a day earlier than scheduled. The short schedule didn’t short-change the fans as the racing was fast-paced on and off the track, and all but four categories completed their elimination rounds. Osage Tulsa Raceway Park enters its third year hosting the illustrious NHRA Jr. Drag Racing League Western Conference Finals, one of two national events in the NHRA Summit Racing Jr. Drag Racing League. For 2018, Tulsa Raceway Park has partnered with Coca-Cola brand Fairlife YUP!, and together, they aim to grow the event to new heights of success. Bob Mandell Jr. knew he had to keep his emotions in check. 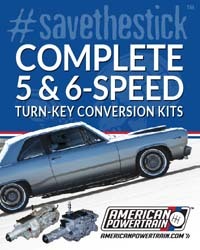 But he could let them out Sunday afternoon after winning the NHRA Southern Nationals Top Sportsman final round over Vince Hoda, using a nearly perfect .007-second reaction time. His elapsed time of 6.856 seconds at 191.97 mph in his Chevy were numbers that mattered only to determine whether he would keep his promise. Mandell had decided that a victory on the Atlanta Dragway quarter-mile – a racetrack that about 24 hours previously had produced one of his most heartbreaking moments – would be a tribute to Randy Alexander. Last night’s $15K winner, Racetech Chassis’ own Kellan Farmer said, “This is so amazing,” a sentiment felt by many of the K&N Spring Fling presented by Optima Batteries entrants who made their way from over 24 states, Puerto Rico and Canada to Galot Motorsports Park in North Carolina. For the past nine years, the Spring Fling brand has been built on five principles; a fair event; fun for the whole family; outstanding customer service; great facilities; and the best value in bracket racing. It’s those principles which have built the brand into a major event of the bracket racing year, an event win everyone wants on their resume. 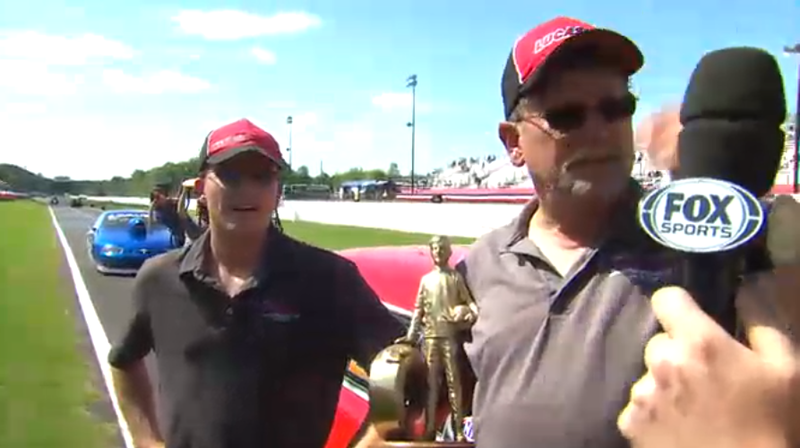 The Lucas Oi Drag Racing Series concluded at the NFK Spark Plugs NHRA Four-Wide Nationals this past weekend at zMax Dragway in in Charlotte, N.C. Holden Laris and Don O’Neil earned National Wally trophies and celebrated with their teams in winner’s circle. Laris, Raceland La., squared off against Larry Roberts of Laurens S.C., in the Top Dragster presented by RacingRVs.com final round. Laris took the starting line advantage and successfully held off Roberts for the final round victory, running 6.235 seconds, 208.71 mph. In the Top Sportsman presented by RacingRVs.com final round, O’Neil, Evansville, Ind., gave up the starting line advantage to North Carolina runner, Sandy Wilkins of Mount Ulla. But O’Neal was able to run down Wilkins for the win finishing at 6.903 seconds, 193.29 mph.